In 1908 Anne S. Murphy wrote the hymn, “Constantly Abiding”. “There’s a peace in my heart that the world never gave,/ A peace it cannot take away;/ Though the trials of life may surround like a cloud,/ I’ve a peace that has come here to stay!” The chorus contains the promise of Jesus: “I will never leave thee.” There will never be an end to proclaiming how God is faithfully with us. In Psalm 31 David, pursued by enemies, declared it is possible to find shelter in God’s presence. His life as a warrior was danger-ridden with no guarantee of his life being spared. Yet he used such terms as refuge, high tower, and strong fortress to give a picture of a protected place. Not a physical place, but the very presence of God. The trials of life will come, and you’ll feel hemmed in on every side. Like David, you’ll feel trapped, afflicted, and cut off. 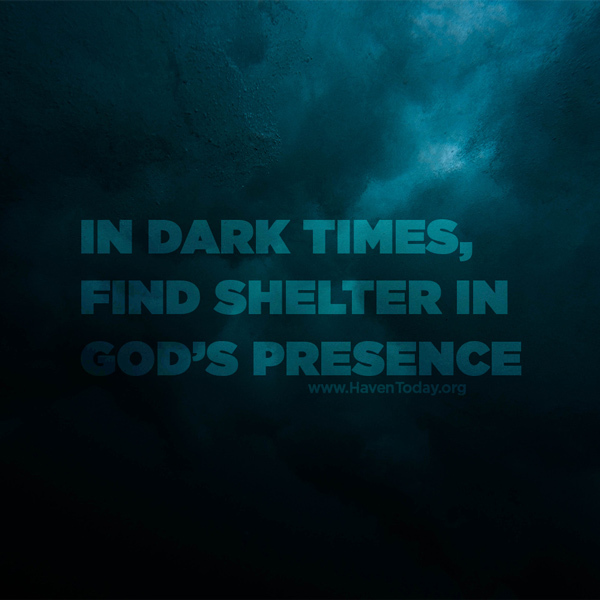 But the promise of the Lord’s presence becomes a reality in the darkest of times. We see how great His goodness is which He has stored up for those who believe in Him (see v. 19).